Every autumn in late October and early November we harvest the olives at Casa del Lupo and Casa degli Ulivi (ulivi is local dialect for olive, so Casa degli Ulivi means House of the Olives). We’ve slowly been pruning the trees back into shape, which is a vase shape that leaves the olives on easily reachable branches and allows light into the centre of the tree. 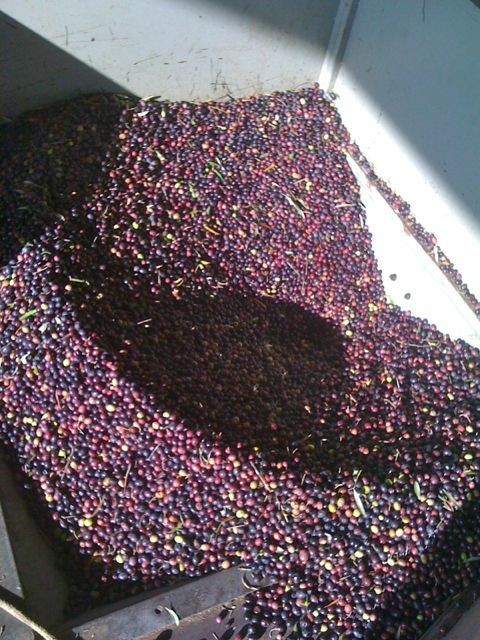 The aim is to get over 300kg of olives so that we can get our own oil from a single pressing rather than oil from the collective press. You also have to book a pressing at the mill and cannot miss your slot. This means we have to work like crazy to get enough olives in a few days, if olives are left too long before pressing they can go mouldy. The weather can be unpredictable at this time of year which means we have to keep an eye on the forecast when planning the pick, there is no point starting if rain is going to stop work for a few days. We still pull the olives off by hand but more and more people are investing in a harvesting device with long mechanical fingers. 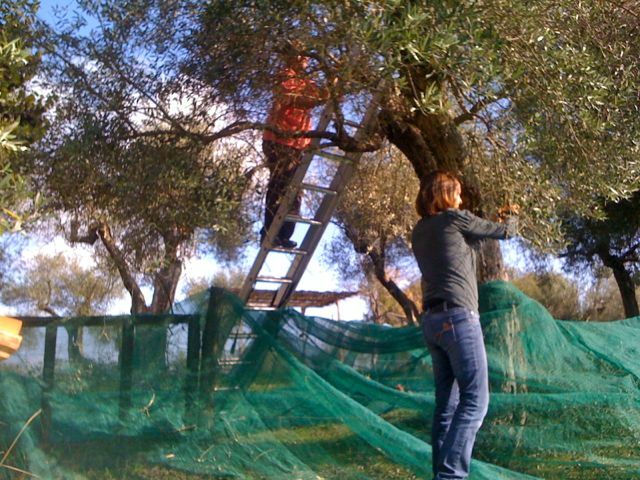 The olives drop onto a net spread on the ground below. 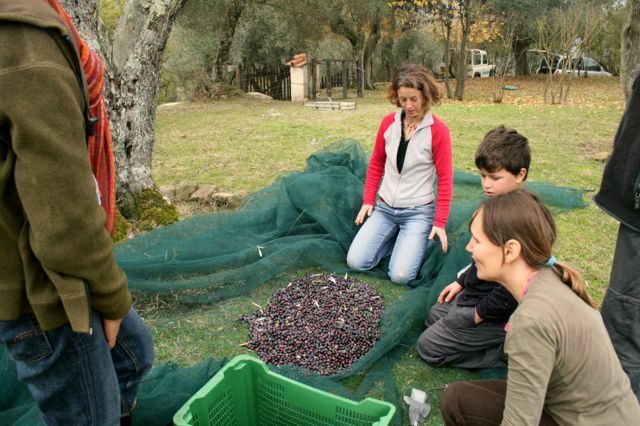 We need about thirteen crates full of olives to get 300kg, once our target is achieved it’s time to head to the mill. At the mill a blower removes leaves and light stalks, the olives are washed and then smashed with hydraulic hammers. The paste is passed through a couple of centrifuges and, at the end, around 60 litres of bright green high quality oil is ready for bottling. 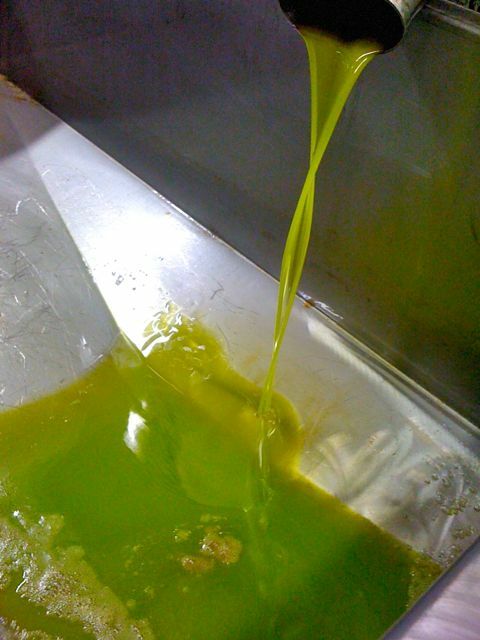 Olive oil from Tuscany and Umbria is noted for its low acidity and spicy, peppery nose. The high altitudes where the olives are grown means that they don’t overipen in the cooler autumn air. This means a low acidity and a high quality oil. Olive oil is the only mechanically recovered oil in large scale production, to qualify as extra virgin it should have less than 1% acidity. Almost all olive oil can be blended to qualify as extra virgin but the very best oils have an acidity of 0.01%. 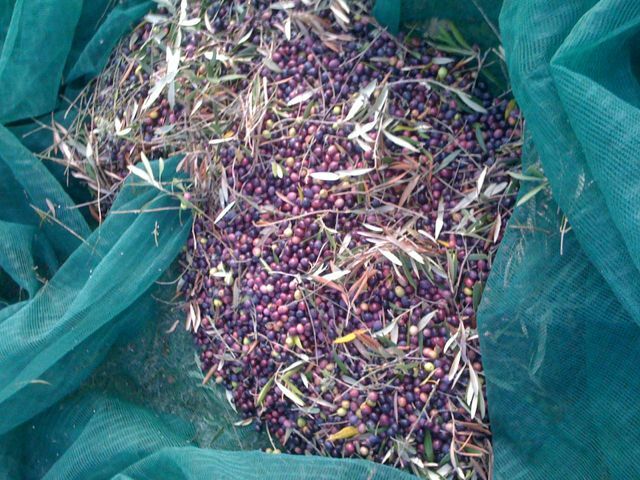 Oil sold simply as olive oil is recovered with a solvent from the dried olive paste that comes out of the mill, it is not the same product and lacks the flavour of mechanically recovered oil.